Here are some photos of my finished owl project, it was fun to make, as I didn't have a pattern (except for the sunburst granny square) and just made it up as I went. Did a bit of embroidery around his face - you like? 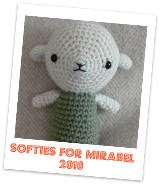 I am right into making toys at the moment and I have another made up critter nearly finished, so should be able to show you soon. It's a pretty crappy day here, over cast and humid, so I am going to take the boys to spend some Christmas money, and then I might get a bit more hooky time in, sounds like a good plan to me! Eddie is utterly adorable. I'm amazed that you just made it up as you went along. You are one clever (and immensely talented) woman! That is really really NEAT-O! Not sure I'd have the patience or creativity to pull that one off... kudos! Hey Jules, just discovered your blog and I loooooove your owl. Colours are gorgeous and those eyes, fab. Great job, you must be chuffed with Eddie. 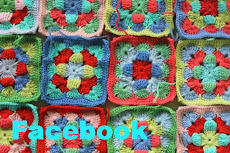 The granny square looks brilliant too. Very cute!! 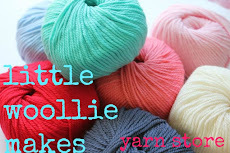 Love the colors you use for your projects!! Just gorgeous - well done on bringing that wisp of an idea to life! I just started following your blog, I LOVE your owlie! The combo with the granny square is really special! Wow - I can't believe you just made up the pattern as you went along. He's amazing!! would you share the pattern ?